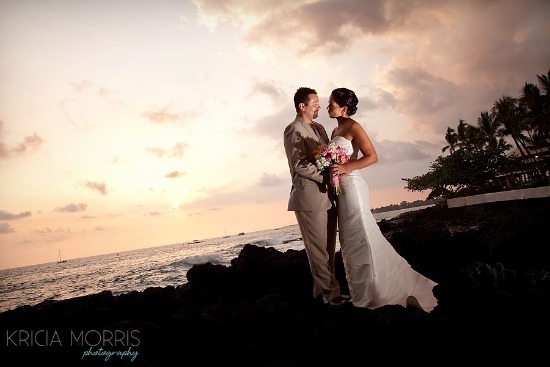 Today's absolutely gorgeous destination wedding in Kailua-Kona, Hawaii was photographed by Kricia Morris Photography. 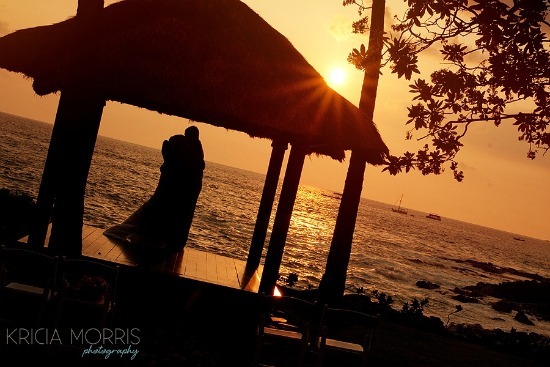 Jamie and William were surrounded by their closest family and friends while they recited their vows in a private garden at Royal Kona Resort overlooking the Pacific ocean. 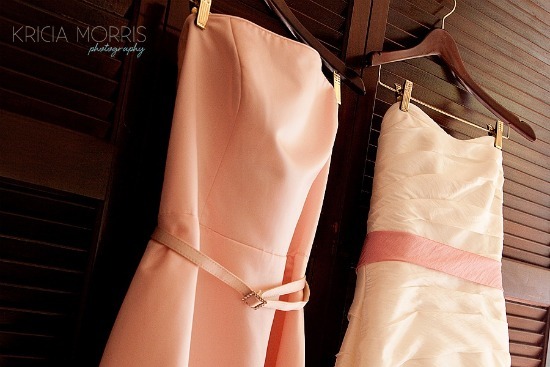 I'm loving the brides pink sash around her dress and the pink wrapped bouquet stems. 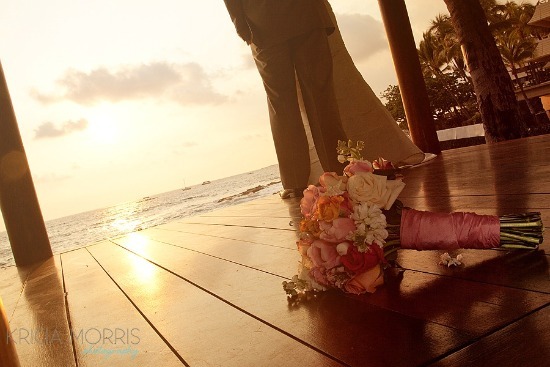 There's even a little starfish tucked into Jamie's bouquet. 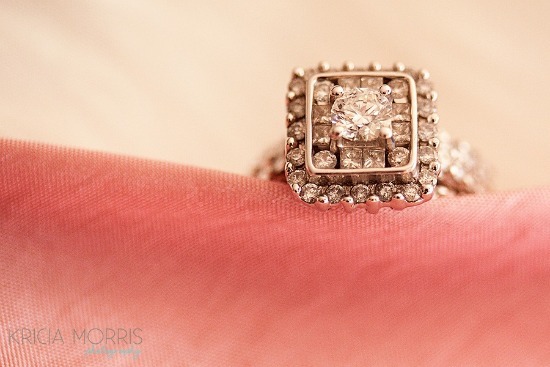 You can see more of this wedding on Kricia's blog.